After eight years on the road, these Welsh indie rockers are conquering the music world one show at a time. An only child born to parents who always kept classic rock records in the house, McCann has been writing songs since he was a kid. A natural frontman, McCann is just 22 years old, but he has already been writing and touring with his band Catfish and the Bottlemen -- named for a busker McCann met as a child in Australia -- for eight years. Featuring McCann on lead vocals and rhythm guitar, Johnny Bond on lead guitar, Benji Blakeway on bass, and Bob Hall on drums, these young indie rockers have their eyes set on the big time and are gaining momentum quickly. 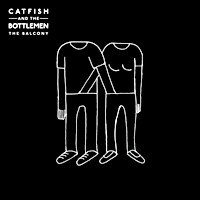 It’s only been in the last two years that the Bottlemen started breaking through in a big way, first with a deal with Communion Records in the spring of 2013 and most recently with their debut album The Balcony. Released in the band’s native Wales in September of 2014 and in the U.S. earlier this year, The Balcony is an 11-track record that has already earned nods for its honest lyrics and vibrant energy. At the 2014 BBC Music Awards last December, Catfish and the Bottlemen snagged the Introducing Award and performed as part of a lineup that included Ed Sheeran, Coldplay, and Calvin Harris. The group’s success continues marching forward as 2015 progresses, with several of their North American tour dates sold out and their leading single “Kathleen” spreading to radio stations across the United States. When Catfish and the Bottlemen stepped onstage before a sold-out crowd at New York City’s Bowery Ballroom on 9 March, they acted like the seasoned performers they are. Dressed in black from head to toe, each band member attacked their instruments in a blitzkrieg of sound. With a shout and a shake of his shaggy brown mane, McCann shot a grin at Bond as they plunged into “Rango”, one of the band’s singles from 2013 and the opener of the night. By the end of their hour-long set, the Bottlemen had played each of the 11 tracks featured on The Balcony, earning cries of joy from the audience when they dove into fan-favorites “Pacifier” and “Kathleen”. The band’s smooth presentation onstage owes largely to their years of experience, but it’s also a testament to the strong bonds that have formed within the group. The Bottlemen are living the dream of making a living by playing in a rock band with their best friends. McCann and Blakeway have been close since primary school. When the two set out to start a band, they discovered Hall, one of their recommended drummers, was actually a neighbor of McCann’s. Bond, formerly of Detroit Social Club, was last to join in 2014, though the celebrity status McCann once anointed him with as a fan has faded into one of respected friendship. In tour videos uploaded to their website for fans, Catfish and the Bottlemen are silly pranksters, teasing one another and balancing objects on the prone body of whoever happens to be dozing at the wrong moment. Onstage, they are professional but fun, digging into their music as if it’s all they’ve ever wanted to do. As the Bottlemen wound down their set with the final guitar-heavy notes of “Tyrant”, a cheer erupted once more around the stage. The night was over, but for the Bottlemen, the show is just beginning. Meghan Roos is a freelance music journalist currently based in New York City and pursuing a master's degree in cultural reporting and criticism at New York University. In addition to PopMatters, her reviews and artist interviews have been published by Interview Magazine, Blues Rock Review, High Voltage Magazine, the San Diego Reader, the San Diego Union-Tribune, and 1146 Miles. Splash photo: press photo of Catfish and the Bottlemen by Jon Stone.